The Pacific island nation of Tokelau comprises 3 small atolls spread over 300 kilometres of ocean with the nearest neighbour Samoa 24 hours away by ship. As a result each atoll community: on Atafu, Nukunonu and Fakaofa, exhibits a high degree of independence and self reliance. 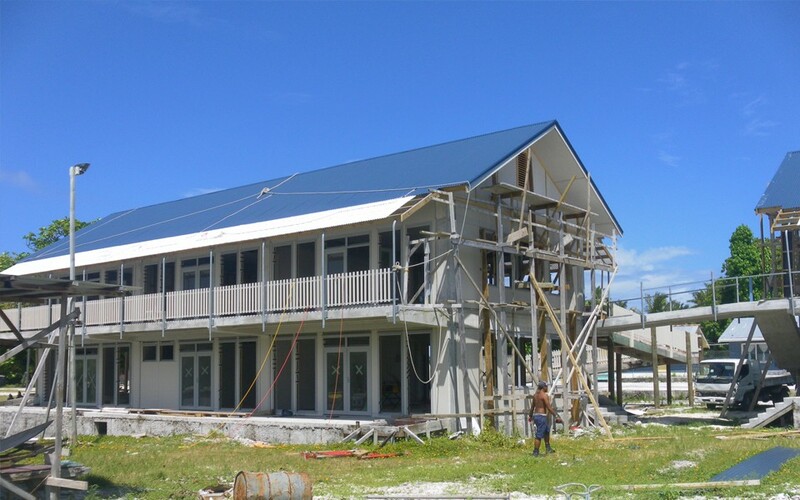 However, whilst there are skilled builders and willing labour in Tokelau, major capital expenditure projects have traditionally required financial help from outside. The New Zealand Aid Programme funded a school rebuilding programme and schools expansion projects designed by Aonui have recently been completed on Atafu and Fakaofa. 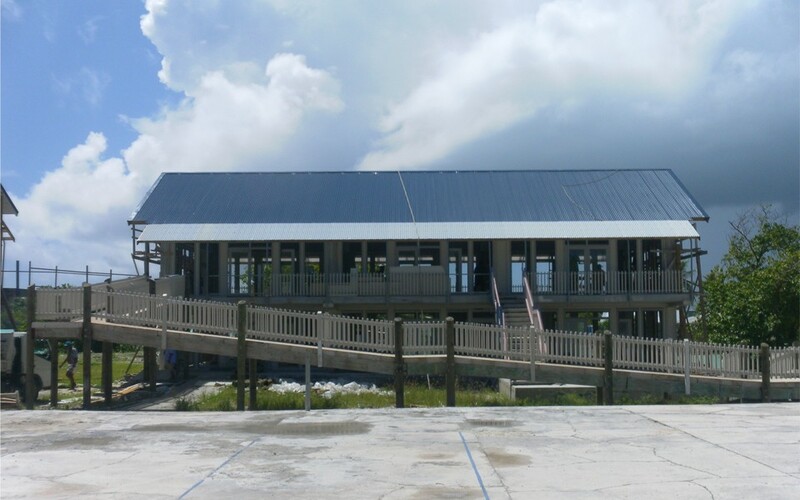 The two storey structures comprise lower floor classrooms with computer suites and libraries located on the upper floor, these higher value contents being safer from the cyclonic waves that sometimes wash right over the 3-4m high coral islands. Ramps ensure that the whole community can climb to the upper floor as a refuge in such events. The structures are concrete frames with concrete slabs that are shaded by wide roofs and canopies for passive cooling, which along with cross-flow ventilation in the trade wind, is essential for comfortable learning 8-12° below the equator.